Welcome to the first of two blogs on payroll matters employers need to be aware of for the 2019-20 financial year. 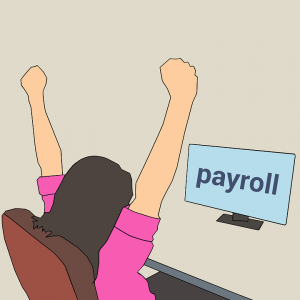 There are several developments in payroll legislation coming into operation from 6 April 2019 and they are outlined briefly below. We would be happy to explain these changes, should you need further clarification please contact us. Remember that you should send your final submission to HMRC by the deadline of 19 April 2019 and you need to distribute P60’s to all of your employees by 31 May 2019. The personal tax allowance will be increased from £11,850 to £12,500 for 2019/2020. Employees can earn up to £240 a week and £1,041 a month before tax is applied. The emergency tax code for 2019/2020 will be 1250L, which is an increase of 65 points; this increase will also be applied to any tax codes with a suffix of L. Tax codes with a suffix of M will be increased by 72 pts and codes with a suffix of N will be increased by 59 pts. HMRC will advise via the P9 of any other changes. If you have any employees who are Scottish residents they must ensure that HMRC are aware of their current address and employers must use the Scottish Income Tax (SIT) rates and thresholds. Next week’s blog will cover payroll updates on auto-enrolment, itemised payslips, postgraduate loans and apprenticeship levy funds. We offer a comprehensive and confidential payroll service for our clients. This ensures you are fully compliant with the latest payroll legislation and guidance, while also saving you and your team time on the processing of payroll. Contact us for more information.